Hockey goalie, referee, adjunct instructor, and geek all rolled into one. On Friday, I celebrated my 36th birthday. I walked by my wedding picture and realized that I am getting older fast. My 10 year hockey career has been a great ride so far, but I am now questioning how long I am going to be able to go on. Especially with they style of goaltending I am doing. I played 3 games on Wednesday last week, and by the end of the 3rd game I was physically sore. I couldn’t extend my right arm all the way out without feeling pain. My game on Thursday we won easily, but I have to pace myself a little better than I have before. The old Fury team on Tuesday is doing well with 3 wins in a row and a tough stretch of games coming up to the playoffs. 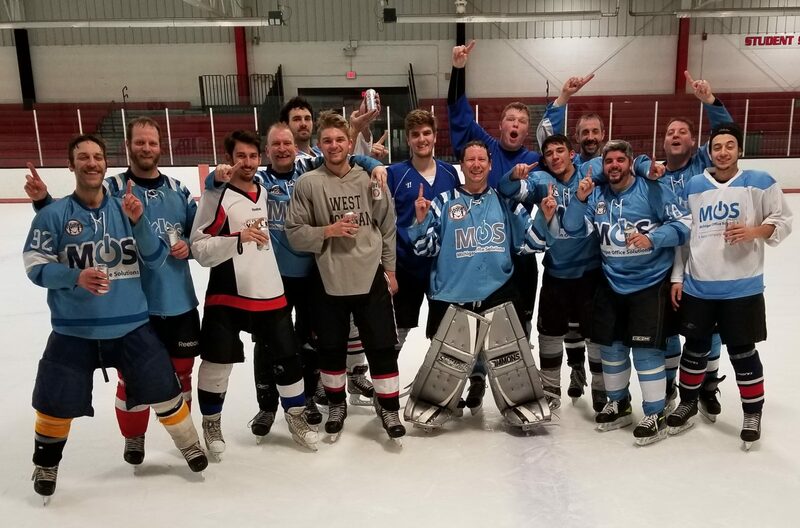 My ice hockey team continues to do well. The Dragons I have struggled playing with and have lost my last 2 games in a row. I have been subbing for another few teams without goalies and have been playing well with them this season so far. Thats concerning to say the least. Overall, I have had a great life so far and it will get better as I get older. Its been about 5 days since the completion of the Stanley Cup Finals, where Detroit won a hard fought series against the Penguins. I didn’t get a chance to see the game until Friday night. I recorded it on Wednesday, and I did watch the cup celebration. That was all I got a chance to do though since I played 3 games on Wednesday night, and then played on Thursday as well. I also taped and watched the parade on Saturday. After having many days to go through the material, I get happier and happier to see the Wings with the cup. Its exciting that in 11 years, I have gotten a chance to see 4 championship teams win the cup here in Detroit. Lets say that the city needs it. With the economy in the crapper, anything that helps lift the spirits in Detroit is a good thing. My highlights of the celebration has to be Dallas Drake lifting the trophy for the first time in his career. Here was a guy that was considering retirement before the season started. Now he is carrying the cup around. Darren McCarty is another feel good story. He worked his way out from under the boot of alcoholism and depression to the top of hockey’s greatest stage. He should get a contract to play in Detroit next season. I know, he won’t get top line minutes, but he is a role player and factored into the Wings winning it this season. Speaking of crapper, I am pretty depressed that hockey is done until training camps open in September. Its going to be one long summer without hockey.